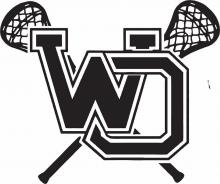 Last year, the West Ottawa Girls Lacrosse team finished a season with an impressive record of 11-5, which is the best the team has ever done. They were led by their co-head coaches, Jamie Slenk and Lucy Hoogland. Unfortunately, Slenk couldn’t return to her head coach position this year because she wanted to focus on finishing her masters degree and Hoogland didn’t want to be the sole head coach of the team. Hoogland decided an assistant coach position would be a better fit for her. With only a few weeks before off-season workouts were supposed to start, the team was left in a frightening position. They had no coach. The team got lucky; they got a new coach with a pretty impressive resume: Aaron Skomial. Skomial started as a middle school coach for his daughter’s team. He improved his coaching as the girls improved their playing. He moved up to being the JV coach at Hartland High School for three years. During that time, the team he started while his daughter was in middle school went all the way to the state championship. They lost after a tough battle that went into double overtime. Skomial was later a Varsity coach at South Lyon High School. When he left, he had a record of 36-19, with 11 of his 12 seniors continuing on to play at the college level. It is clear to see with a record like that, Skomial is not only producing great athletes but also great students. “(Skomial) made it clear to all of us that he wants a great team, but grades and the kind of people we are come first and those things are the most important to him,” Sr. Jane Wolterink said. There are also some new things Skomial is bringing to the program that will appeal to everyone. Every year he holds a charity game that raises money for a charity of his choice. In his three years at South Lyon, they raised around $10,000 for the Wounded Warrior Project. He also wants to hold a free lacrosse clinic for younger girls to get them interested in the sport and to help them learn the basics before they get to a middle school or high school level. With the weather improving, the team is looking forward to outdoor practices and starting their new season that might just be their best yet. With help from Hoogland, Skomial and the girls’ lacrosse team will take on Zeeland High School at their first home game on April 13 at 6:00.